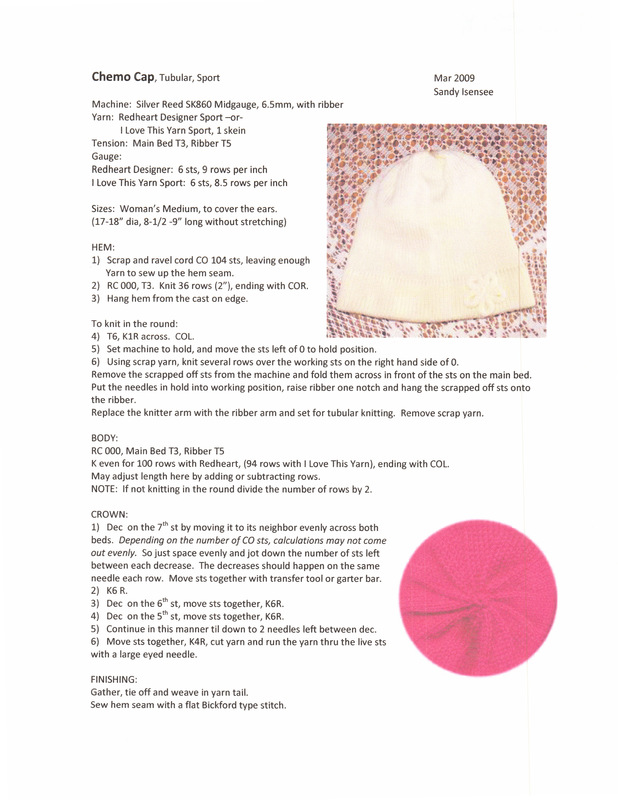 This is more info from Sandy...she has the sister going though chemo and is using these hats so she speaks with good knowledge. 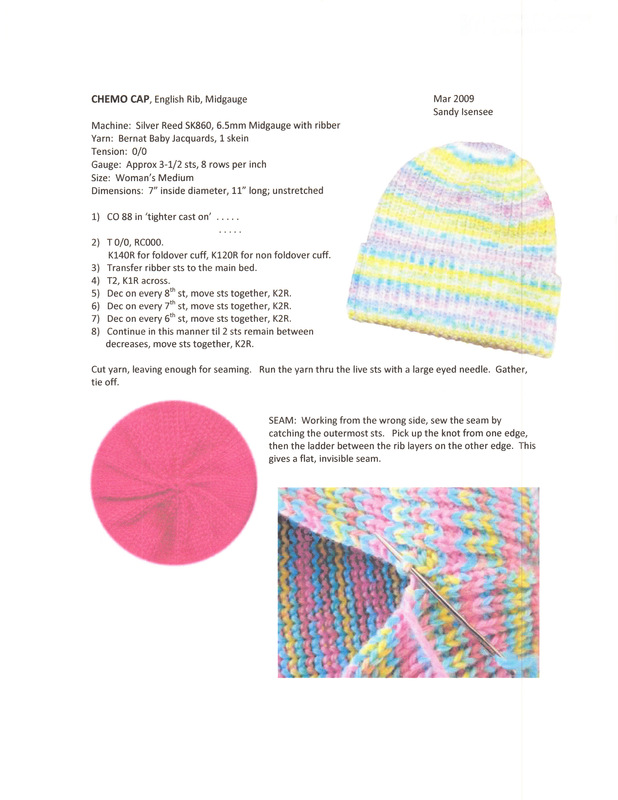 "here is the pattern for the English rib hat that is her all-time favorite and another that she likes for winter. She seems to favor the hung hem over ribbing because it doesn’t bind into her head that already hurts anyway. If ribbing is used, it must not be tight."